Stop in at 3960 Niagara Falls Boulevard North Tonawanda, NY 14120 or give us a call (716) 692-9081 for more details or to book today! Skip the mess at home and have your child’s next party here, hosted by Muscoreil’s! Come and let the kids learn the basics of cupcake decorating where they each get to design and take home 6 cupcakes. The hour and a half to two-hour long party includes your dedicated party host, beverages for the children and any parents staying on site, your buttercream techniques lesson, all the supplies you would need, and of course the CAKE! Pricing for parties starts at $295.00 for up to 10 children, additional kids are welcome at $25.00 per child, up to 20 total. Pick from a list of themes, or we can come up with one just for you! Ideas include Unicorns, Sea Creatures, Furry Friends, Holidays, Monsters, Flowers, Bugs and the list goes on and on. Call today for more information! Back by popular demand! 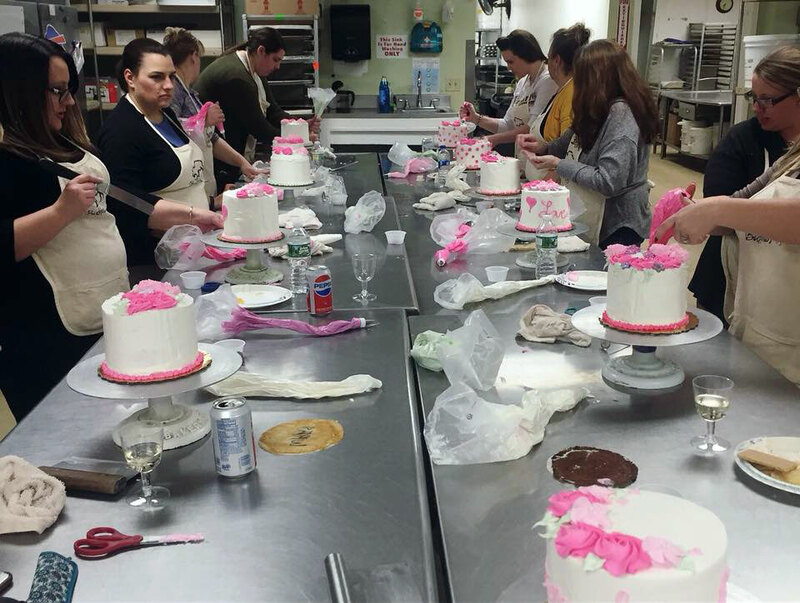 Gather the ladies for a night of decorating or even host a corporate team building event, learning to decorate cakes is a great way to bring your group even closer together. 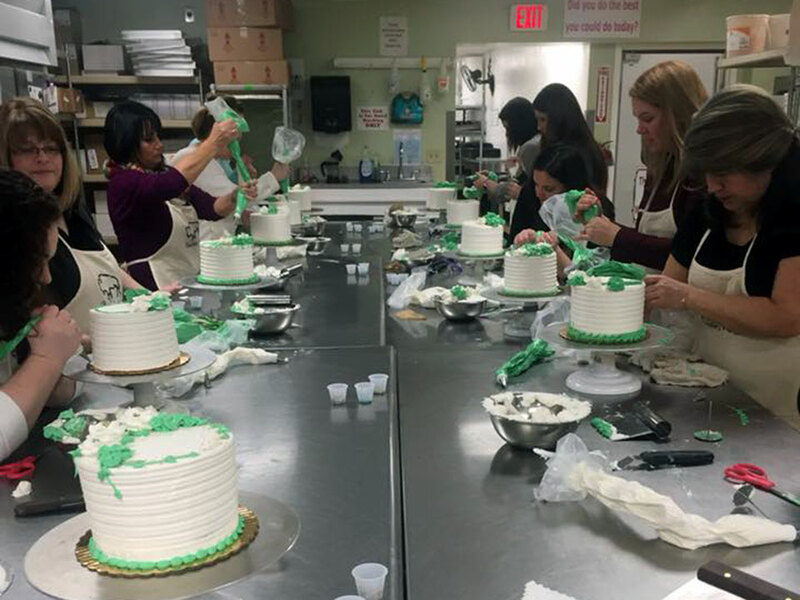 Each class can accommodate up to 15 guests who would each walk away with their own decorated 6” cake… no experience necessary! 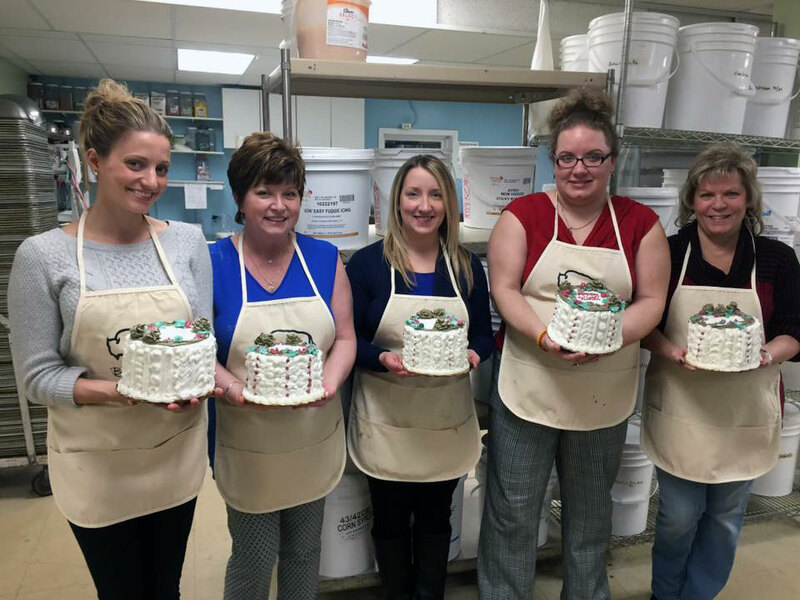 If you book a full class each person will get $5.00 off the cost of their cake plus your group can choose the design you wish to create. Classes are priced at $45.00 per person and your class host will take you through step by step on how to create the stunning design chosen. You will start with your naked cake and learn everything from basic frosting techniques, to filling your pastry bags and even some extra fancy piping!